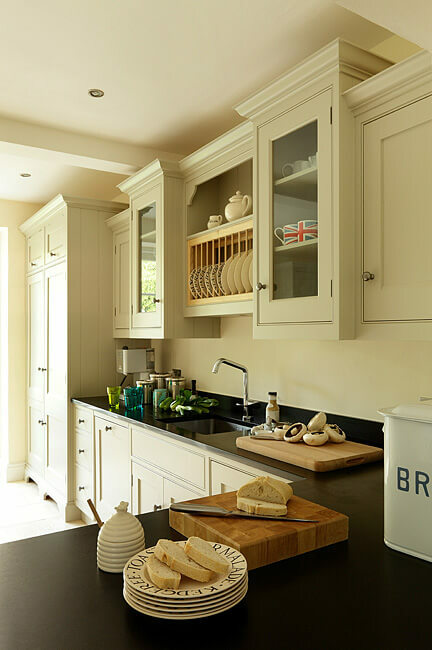 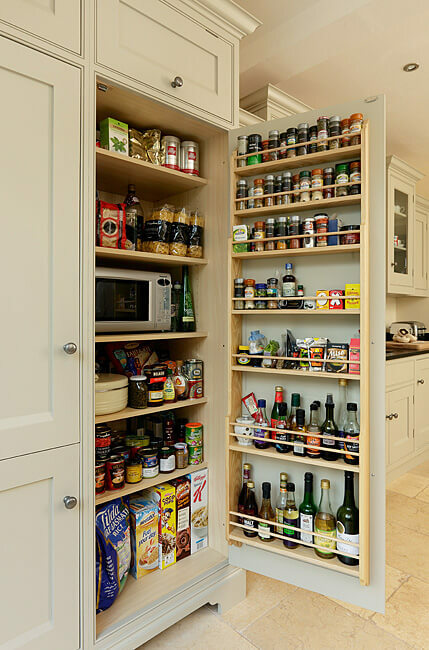 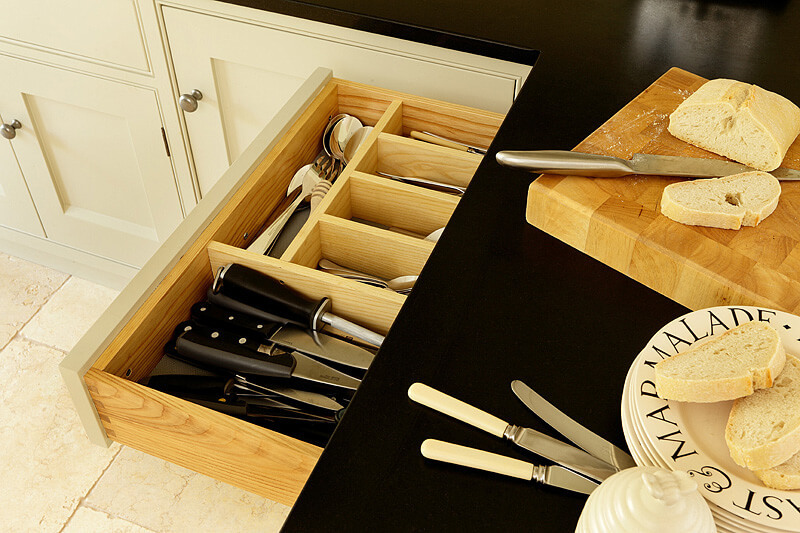 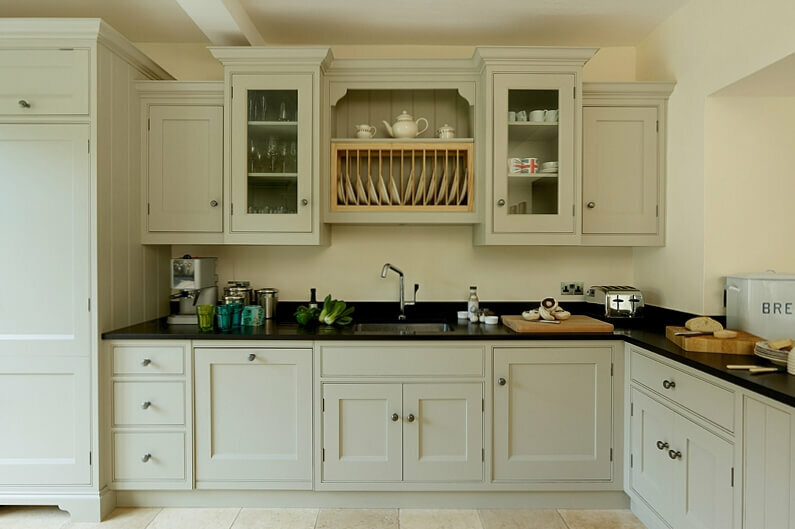 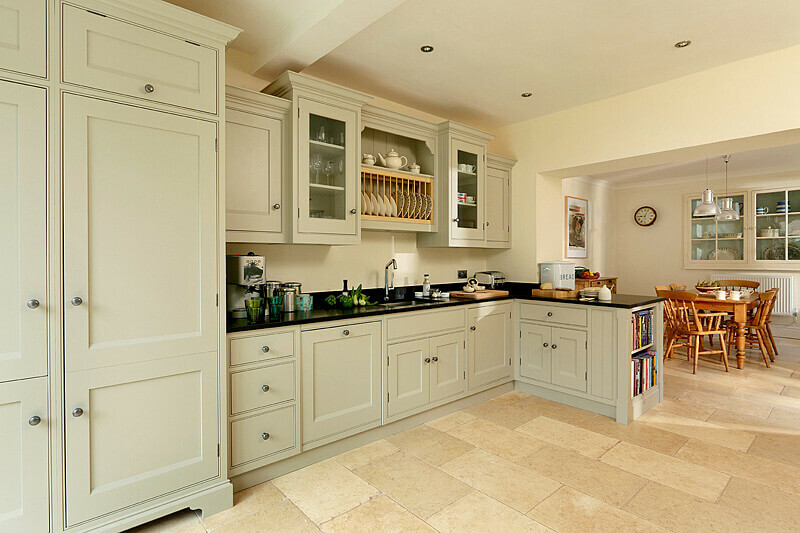 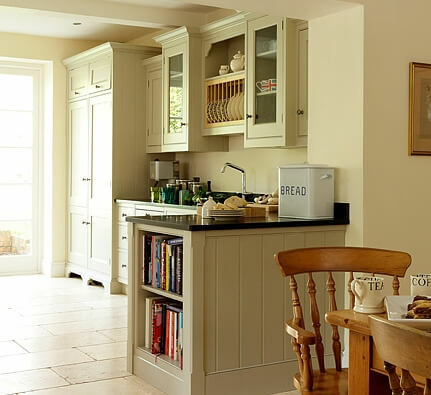 A classic example of the Bristol Kitchen Company Shaker style country kitchen, with features including hand painted doors and frames, glazed doors, oak finishes and larder unit. 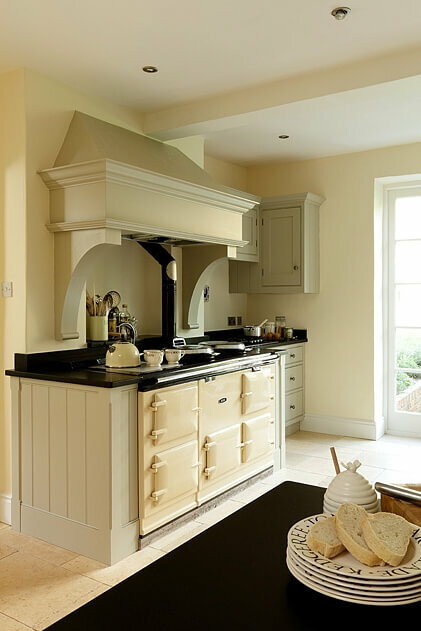 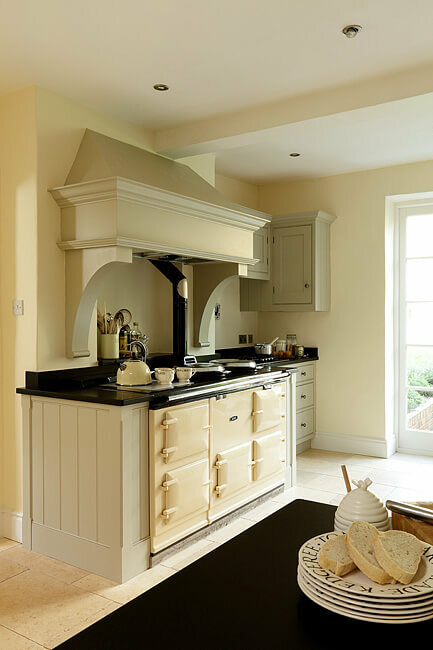 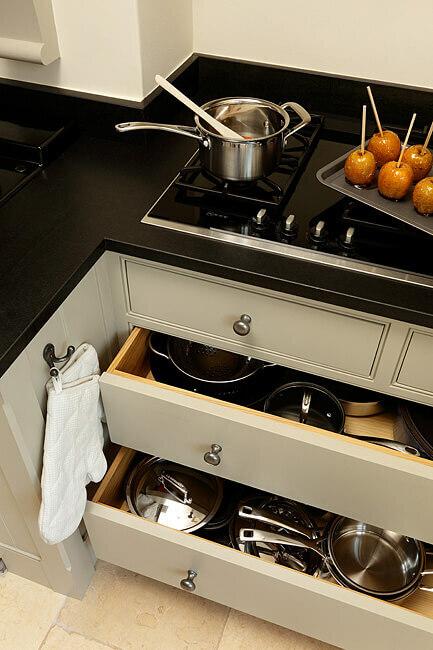 Many clients start with an appliance, such as this Aga, around which we design the cabinets so as to make best use of the space. 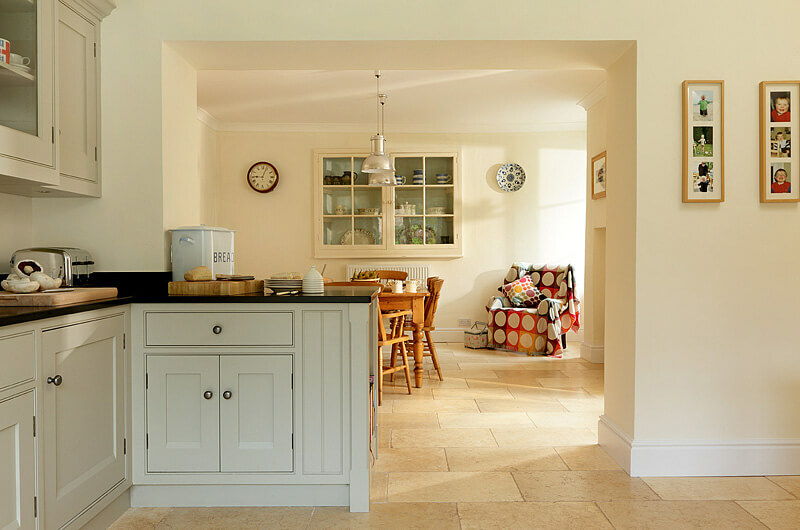 This kitchen featured in Beautiful Kitchens magazine.